They are ready for adoption! Please see Foster Page 5 for pictures. We have received enough to have penelopes medical bills covered. This beautiful girl is Penelope an 8 month old Golden Retriever/ Chocolate Lab mix. She is one of the most wonderful dogs you will ever meet. Penelope came to us as a very unexpected rescue. We had been called by some people and asked if we could help them by taking in a litter of puppies. When we got to the place to pick the pups up we were very upset.The people had many dogs that needed to be taken out of the situation. While loading up several adult dogs and the pups into our vehicles along came Penny. She was just heart breaking, she was laying on a bed made of fiberglass that she had drug out from under the house. Even though she was in a tremendous amount of pain she still managed to come and greet us. I asked the owner why he had not gotten her any veterinary care and how long she had been this way and his reply was that she had been that way about 6 days and he was planning on taking her out and shooting her but he just had not gotten around to it. 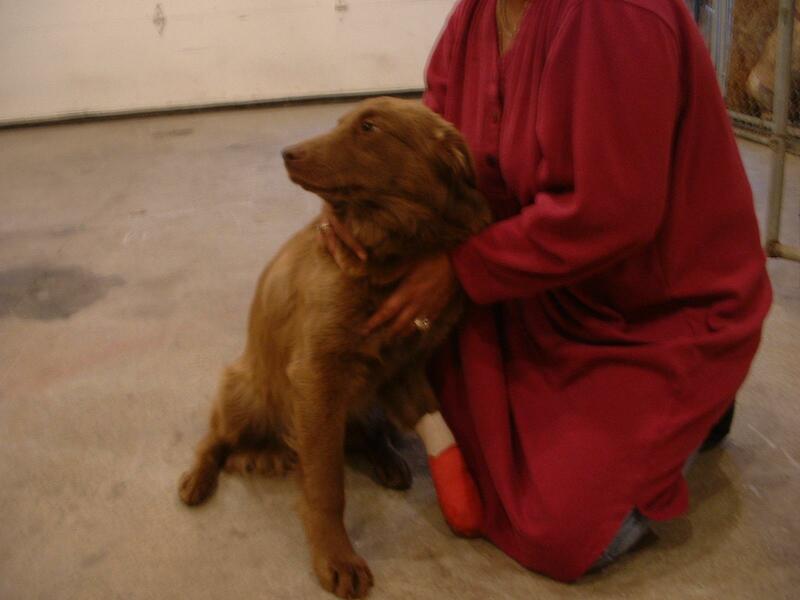 She was seriously injured on her front paw, it was swollen to about 4 times its normal size and very infected. After several veterinary visits ( and a lot of pain and patience from Penny) the Dr's have determined that her foot must have been caught in a trap and that she is going to need surgery to remove the dead bones and tendons. She is doing very well and the infection is gone but we can not save a few of her toes. We are in desperate need of donations to help penelope get her surgery done. Any amount would be more than greatly appreciated.